Enjoy wonderful performances from the students at specific times throughout the year. Check calendar at above link for dates. Please note REDCAT Theater is located in downtown Los Angeles. Daytime youth programs for home-schooled kids and public sector teaches quality, standards-based education in basic theatre concepts and hands-on involvement in literature-based theatrical productions. Designed for children and parents to have the opportunity to train and perform together. The Santa Clarita Ballet Company was founded in 1995 as a performing outlet for advanced ballet students. Performance locations vary. This theatre is managed by the City of Santa Clarita. Check website for details. 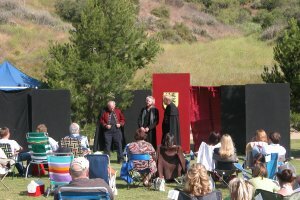 "Shakespeare in the Park" is held at Rivendale Park in Towsley Canyon--free of charge. Check Santa Clarita Guide's Calendar of Events for details. Located here in the SCV, California Institute of the Arts educates professional artists. Local residents and visitors are privileged to attend their performances--many of which are free. Please note, REDCAT Theater is located in downtown Los Angeles. Several locations in the SCV invite residents to toss down a blanket and enjoy a movie under the stars--free. Check the above link for our Calendar of Events, which provides detailed information. The above link will take you to a list of known venues for live bands and DJs in the SCV. Call the locations for times, or check Santa Clarita Guide's Calendar of Events. 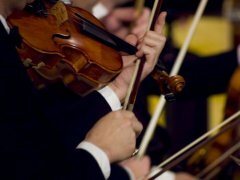 Most concerts are free, held in the Recital Hall and begin at 7:30 pm--with the exception of the Christmas concert. The Santa Clarita Master Chorale promotes fine choral music through an annual concert series of outstanding quality, educational enrichment programs and involvement in community-based arts efforts. Concerts are sporadic so visit their website or check our calendar of events. Check the above link for Santa Clarita Guide's Calendar of Events, where you'll find the valley's numerous outdoor concerts. The PAC hosts major celebrities and local performances, providing an intimate, yet comfortable, seating for 900. And you may recognize the theatre from some of your favorite television productions, including "Las Vegas," "Weeds," "CSI," and "NCIS."